Volunteering is an enriching, fulfilling experience that can strengthen your connection with God as well as with those around you. Helping your local and global community is a part of answering God’s call to love others, and volunteering to better the world helps both those in need and the volunteers themselves! The phrase “think globally, act locally” is at the core of volunteering. To truly make the world a better place, we can start by bettering our own communities. Little acts of kindness, whether cleaning up an elderly neighbor’s yard or donating to your local food pantry, are just as valuable as large ones, so remind your child that even the smallest things they do will make a great impact. Volunteering promotes physical health throughout our lifetimes. In fact, long-term volunteers have longer lives, less disease, and better overall health; it specifically benefits heart health. Those who participate in physical activities like building homes or community cleanups benefit from keeping their bodies active and engaged. 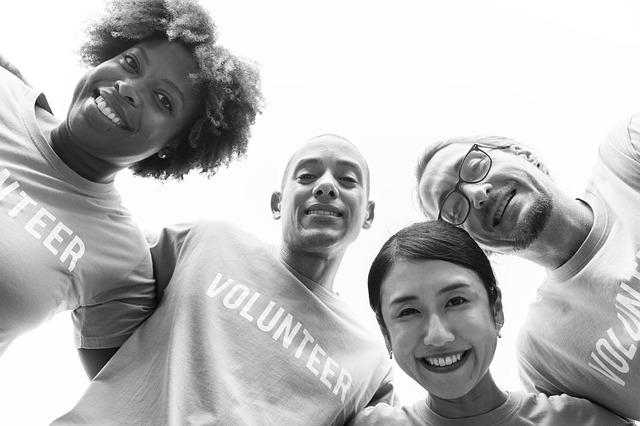 The sense of purpose felt from volunteering can largely affect your psychological state; it enhances self-esteem, personal accomplishment, and overall satisfaction. It can also delay or even reverse declining brain functions! Volunteering widens your social network, which reduces stress, anxiety, and depression. Volunteering increases the feeling of community. The Bible calls us to community for good reason: it’s encouraging, teaches us love and patience, gives us accountability, and gives us people who will walk through life with us. The relationships you build when volunteering can last a lifetime. You create a community with those you volunteer with and establish deep connections with those you help. You strengthen your social network, develop a new understanding of the world around, and reap the benefits of increased socialization. Ormond Beach schools are proud to provide students with a challenging, rewarding curriculum. Students are immersed in a well-rounded academic program that prepare them with the leadership and problem-solving skills to meet the challenges of the 21st century. Learn more about our schools here!